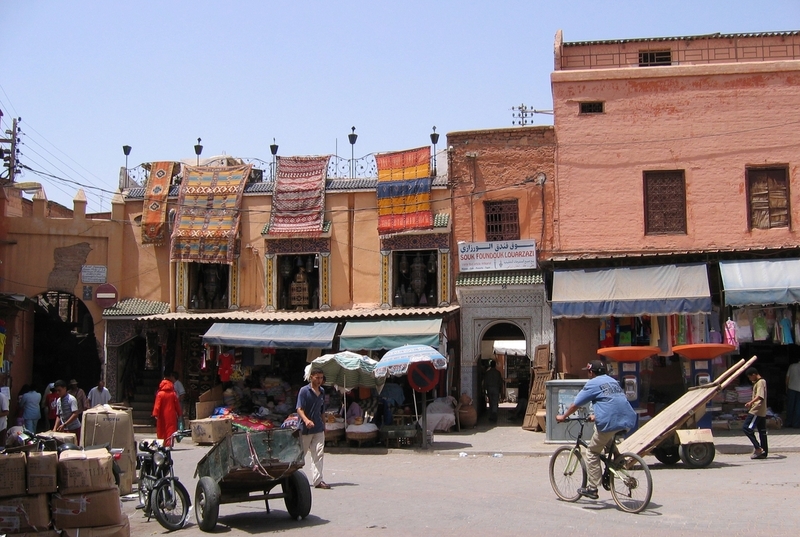 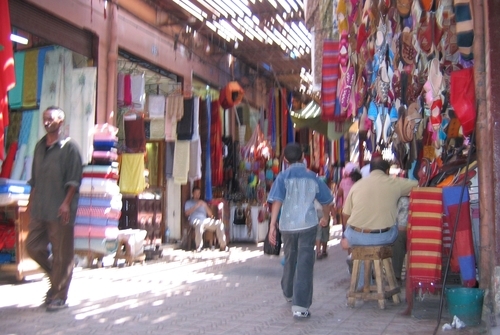 I chose to not translate the whole Dutch text about our holiday in Morocco in 2004 into English, but instead to provide you with some photos and captions. 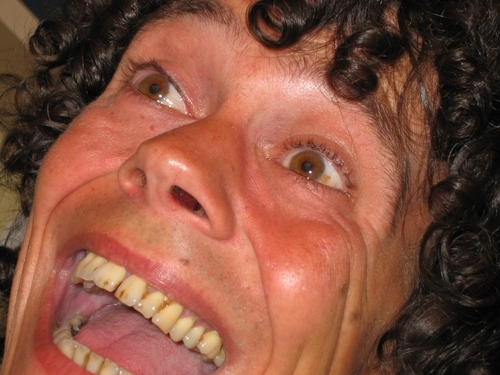 Click on the photos for enlargement. 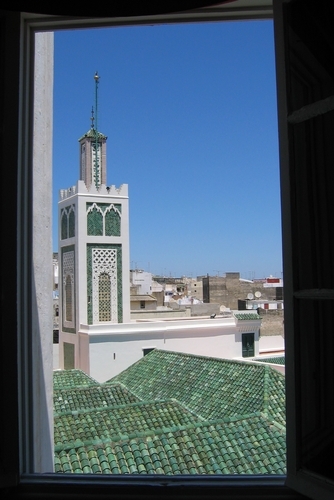 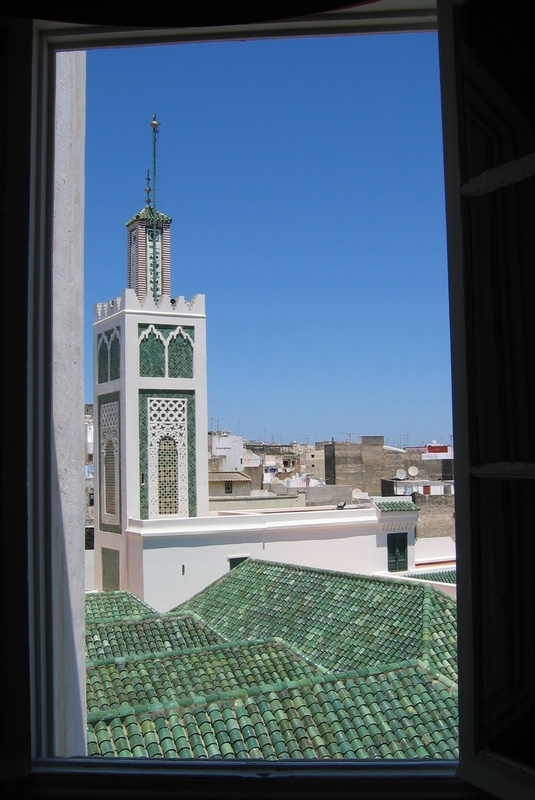 View from the hotel room in Tanger, on our first night in Morocco (photo by Laura). 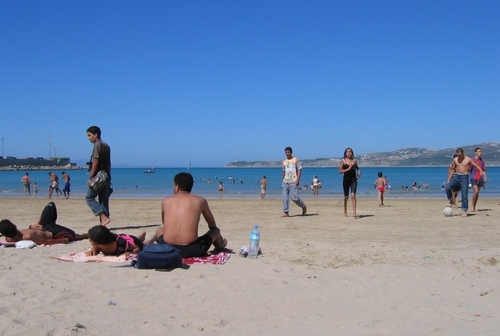 On the beach in Tanger. 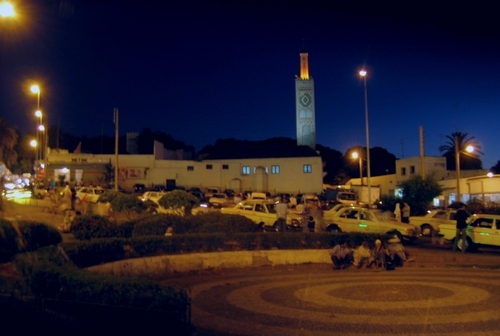 The sloping square in Tanger. 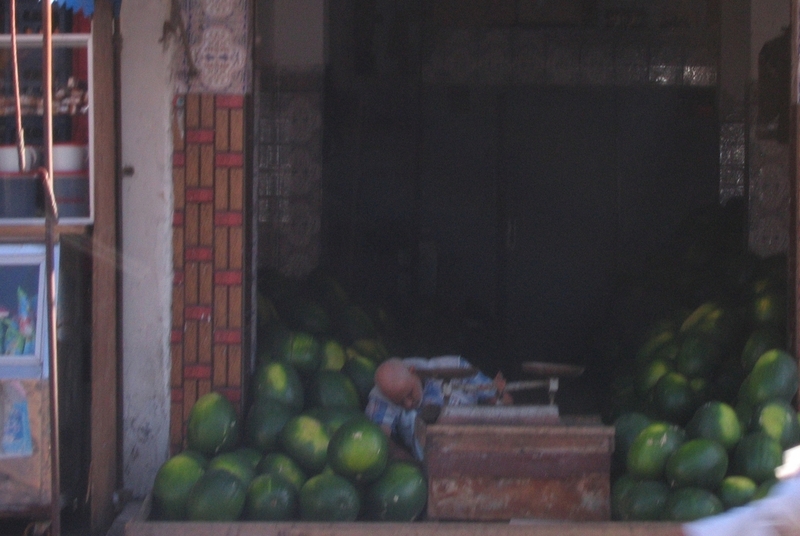 A salesman in Casablanca who fell asleep amidst stacks of melons. 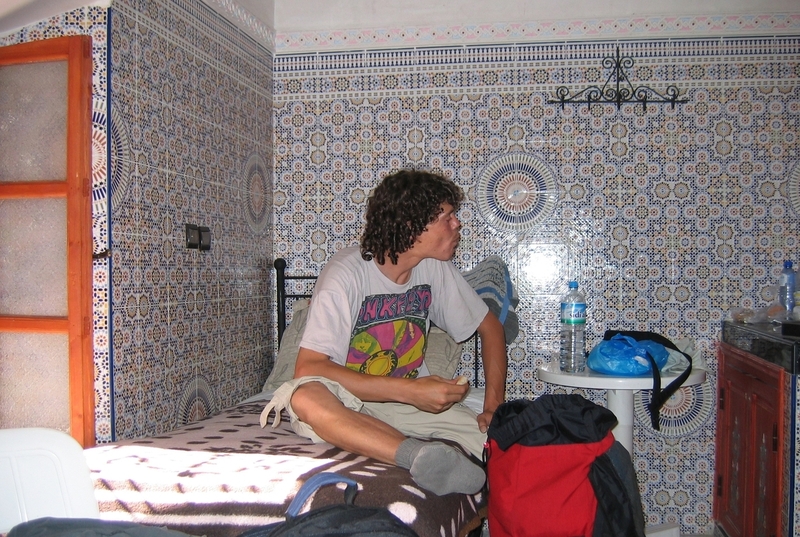 In our room in Hotel de la Paix in Marrakech. A resting place in Marrakech. 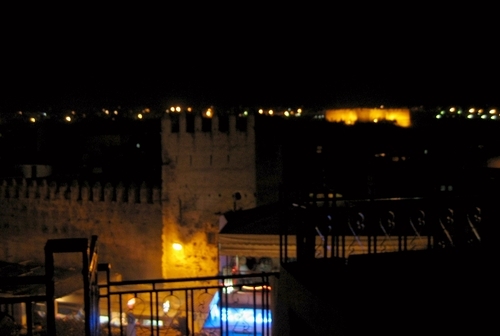 View from the roof at night, in Fes. 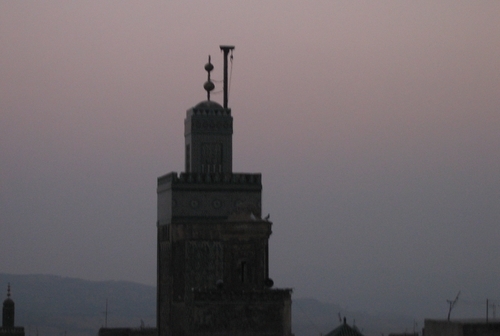 The next morning at sunrise. 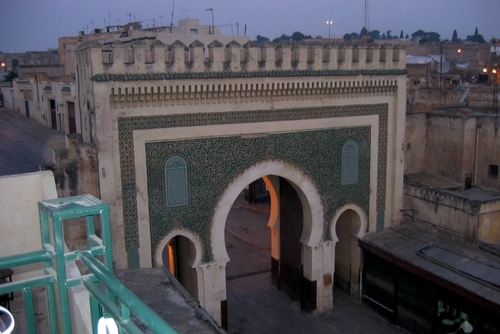 The city gate at sunrise. 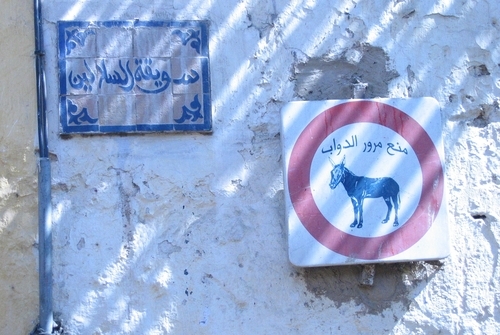 This donkey sign is in Fes's medina. 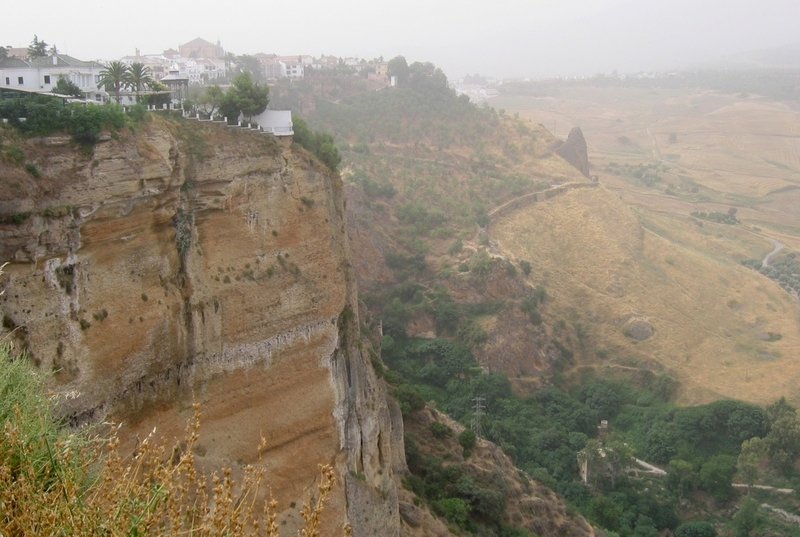 Apparently it doesn't mean Forbidden for donkeys, but rather Watch out for donkeys. 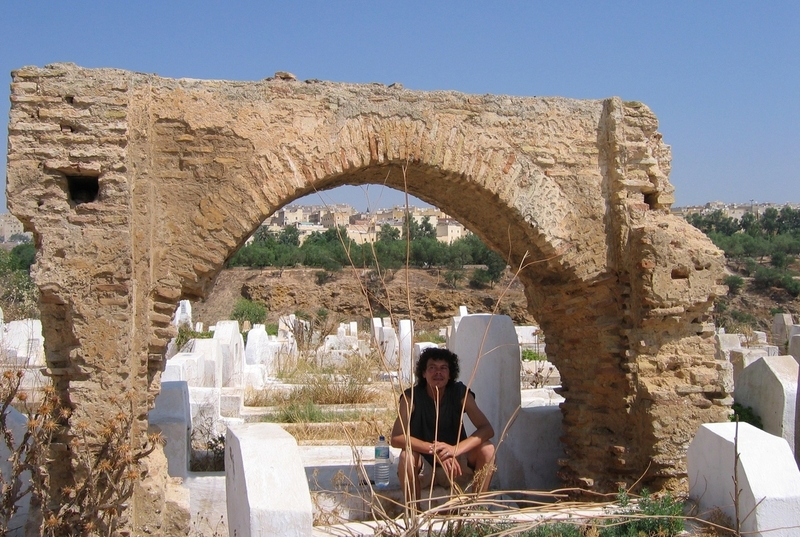 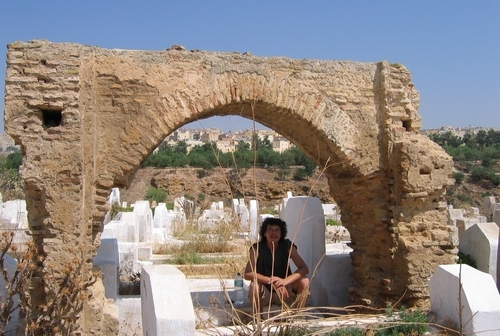 At the cemetary of Fes. Here you'll find an account of this holiday, written by Laura (in Dutch, but with more photos).